I recently bought myself a new laptop - a Dell L502x with fairly beastly specs. Now that I've had it a few days and grown quite comfortable on it, I wanted to see what it was like for playing games. I couldn't decide on the game as I mainly wanted an FPS but had played most well-known PC titles on the Xbox 360. 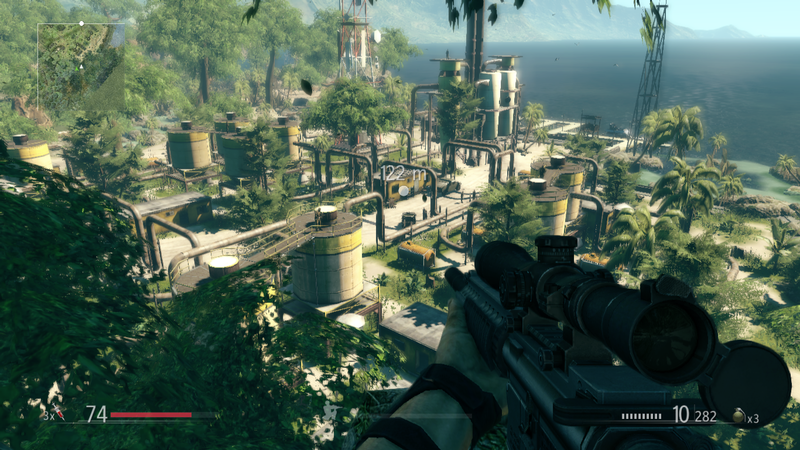 Eventually, I settled on Sniper Ghost Warrior. While not exactly the most recent title, it does look quite stunning. I put everything on max and was expecting a fairly large amount of frame lag. I had absolutely none, not even in intense fire-fights. The graphics remind me quite a lot of BFBC-2. I've only played through the first mission but it's fairly varied. The controls seem like most FPS titles, you have the backbone - the sprint, generic move/zoom keys and then you have your special keys such as "Focus." Focus means time essentially slows down and you have more time to take your shot while zoomed in. As you can see from this screen I took, the graphics are really quite nice. The hud is one of the better ones I've seen recently as more games seem to be leaning towards an intrusive hud that invades your screen and can be quite annoying. When you headshot certain enemies, you get a nice little cut-scene of the bullet flying through the air and burying itself in their skull. 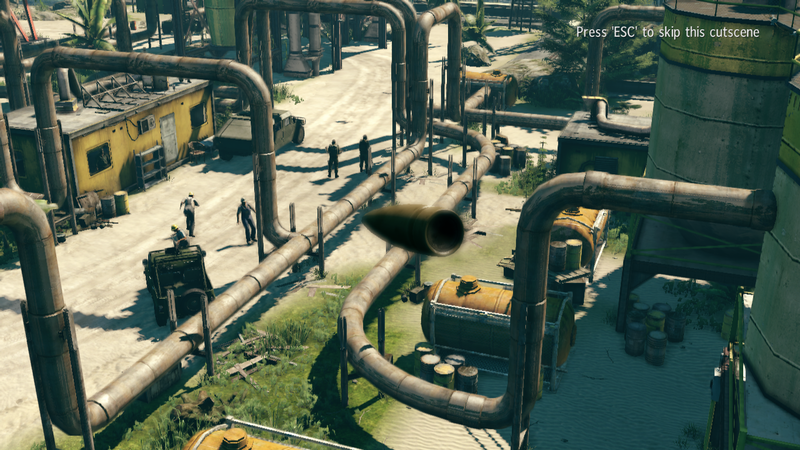 The game, so far, has nice little touches such as variable zoom on scopes and throwing knifes for extra stealth. There are a few problems though, such as enemies shooting away from your direction, yet their bullets somehow hit you. Enemies are also extremely difficult to spot as they are the exact same colour as the surrounding terrain. Overall, quite impressed with it so far. balls. sounds pretty cool. Are there also environmental variables that affect bullet trajectory? It seems like such a thing would be present. Like in Battle Field Bad Company 1. Sniping was damn near impossible online. Yeah, environmental factors are present such as wind/distance and height. In battlefield you definitely can feel these but in this I really couldn't at all. I remember watching some game play on this a while back the cut scenes when the bullet hits is awesome. might check it out sounds cool. It sounds really cool. Though I'm not all into FPS games. Damn, how much was the laptop? looks very good. maybe better than CODmw2? i'll have to try it.